We decided to use the BC connector to go to Victoria. It’s a coach bus that drives on the ferry, you disembark from the bus enjoy the ferry ride and then 15 minutes before docking you board the bus. The bus drops you off downtown Victoria. 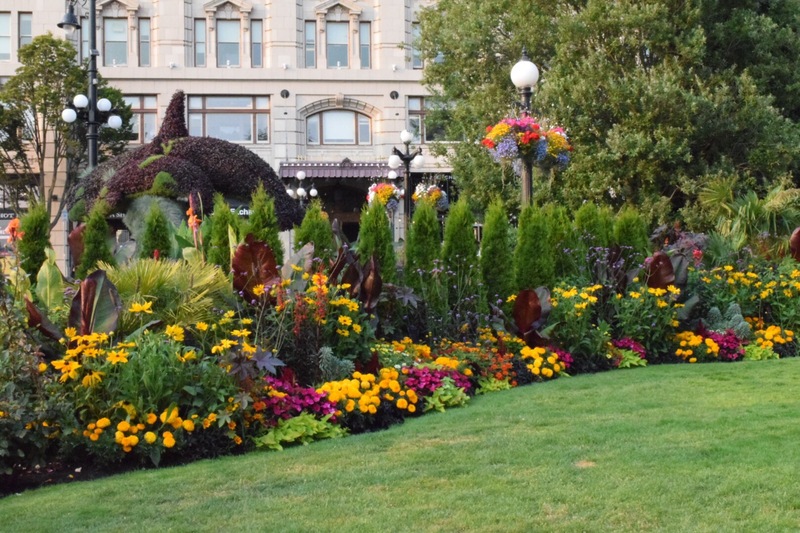 We arrived at our hotel, dropped off our bags and set out to explore Victoria. 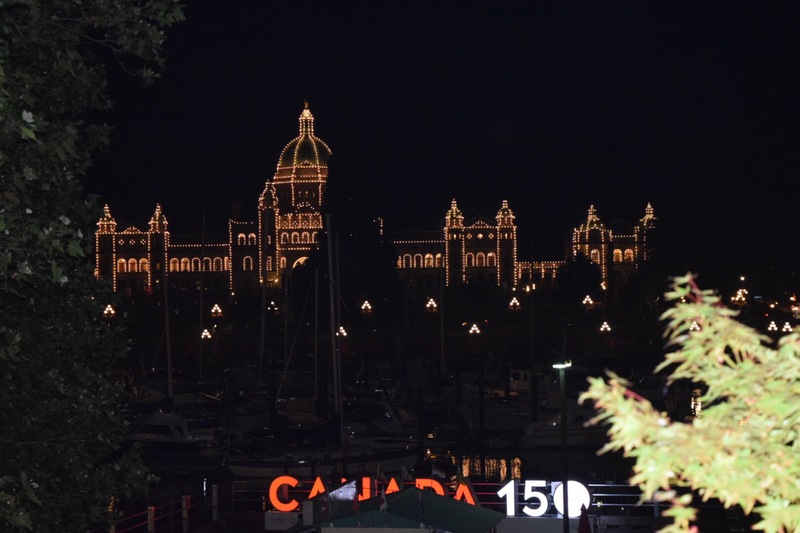 We walked along the inner harbour. 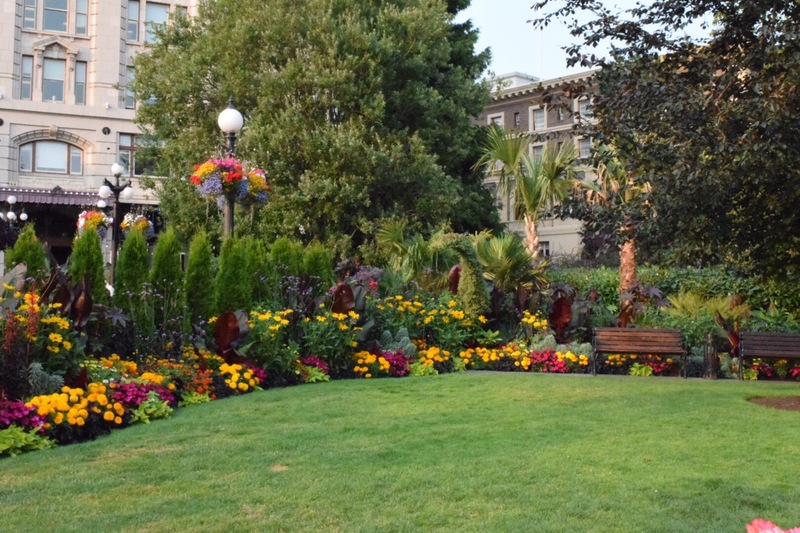 The scenery was beautiful: gardens, water, boats. 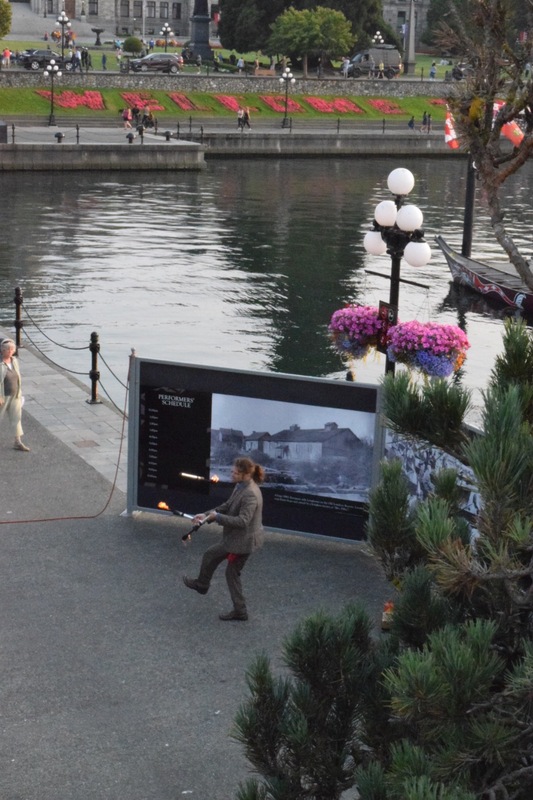 The inner harbour usually has some activity and performances, today there were a few musicians and a man juggling with fire. 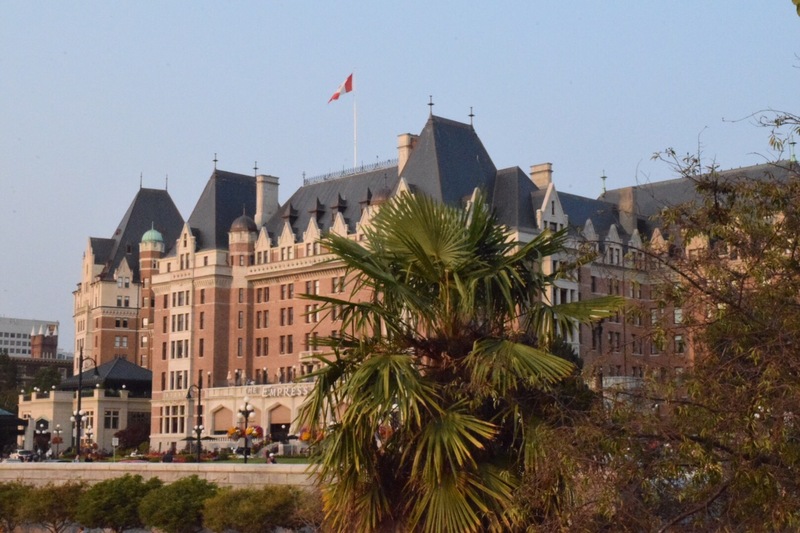 Across from the harbour is the Empress hotel. 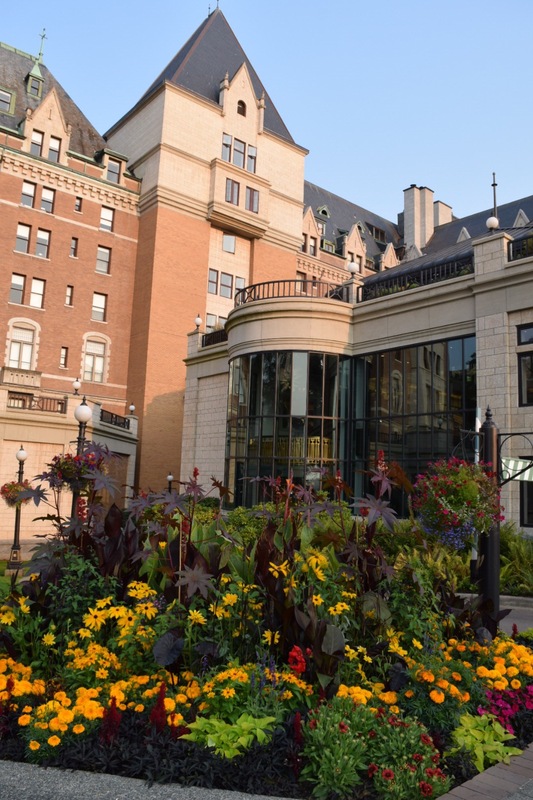 The gardens are beautiful and the building itself is impressive. 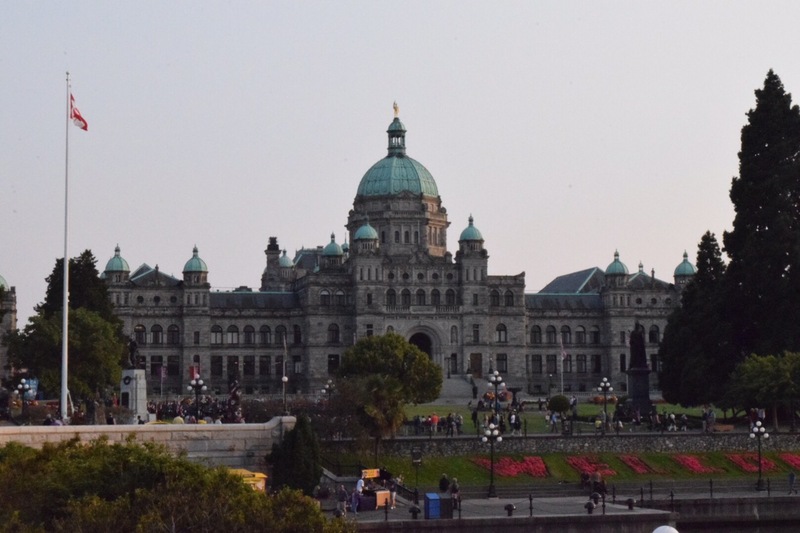 Also from the harbour you can see the Legislative Assembly of British Columbia. 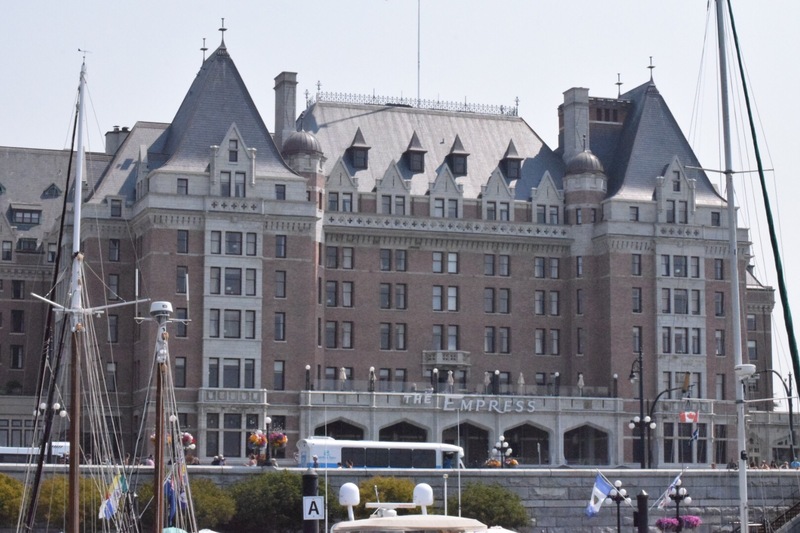 Another impressive building and is quite the sight from the harbour. 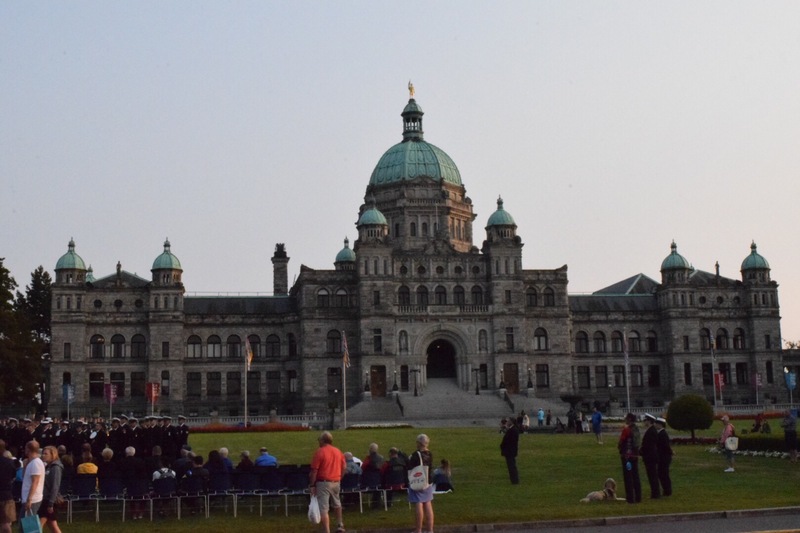 We missed the tour, however there was a ceremony for Peacekeepers on the front lawn. People in the streets stopped and cars slowed down to observe this ceremony. It really was something to see. For supper, Pagliacci’s was recommended to us and it was amazing!!! They don’t take reservations, just a line outside – it moves fast, we waited less than 10 minutes. Everything is made fresh there, the bread, crab cakes, la strada (pasta with meat sauce), local wine were all delicious. We didn’t have room for their famous cheese cake, so we got it to go for a late night snack. 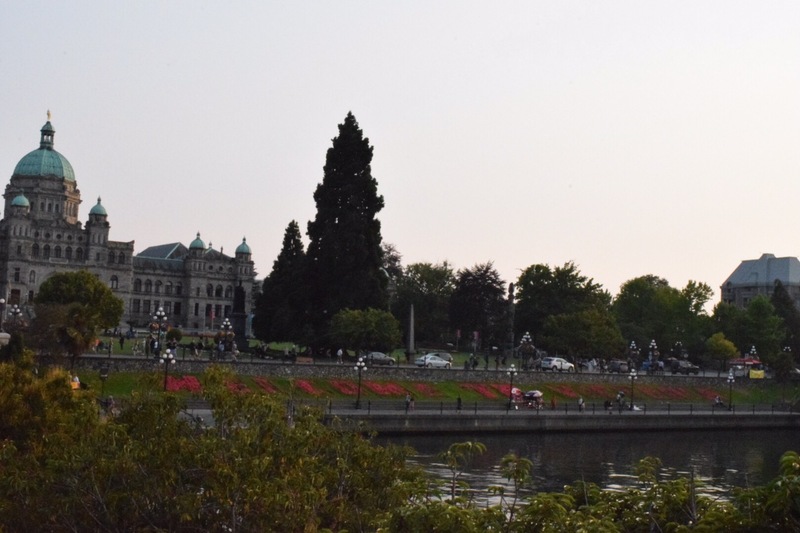 After supper we walked along Beacon Hill Park, unfortunately it was dark and we were unable to see it’s full beauty. 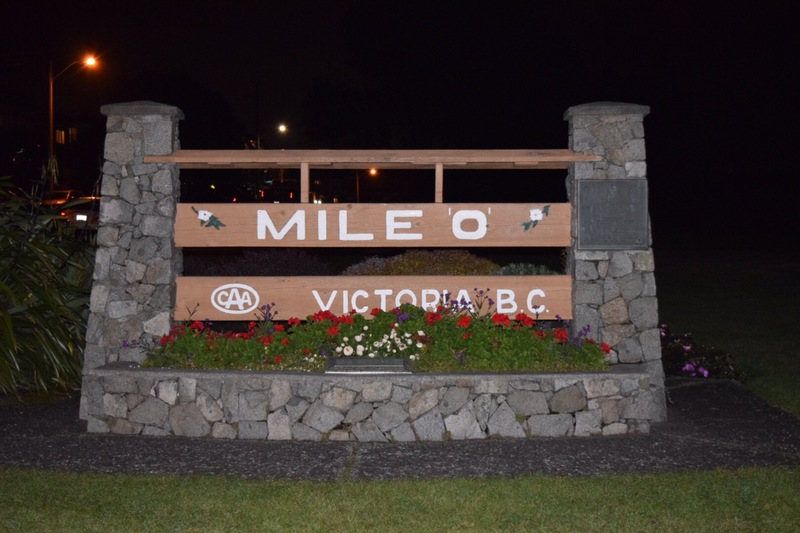 We went to the Mile 0 monument, which marks the beginning of the TransCanada highway which is the world’s longest national highway at 7821km. Behind Mile 0 monument is the Terry Fox statue. 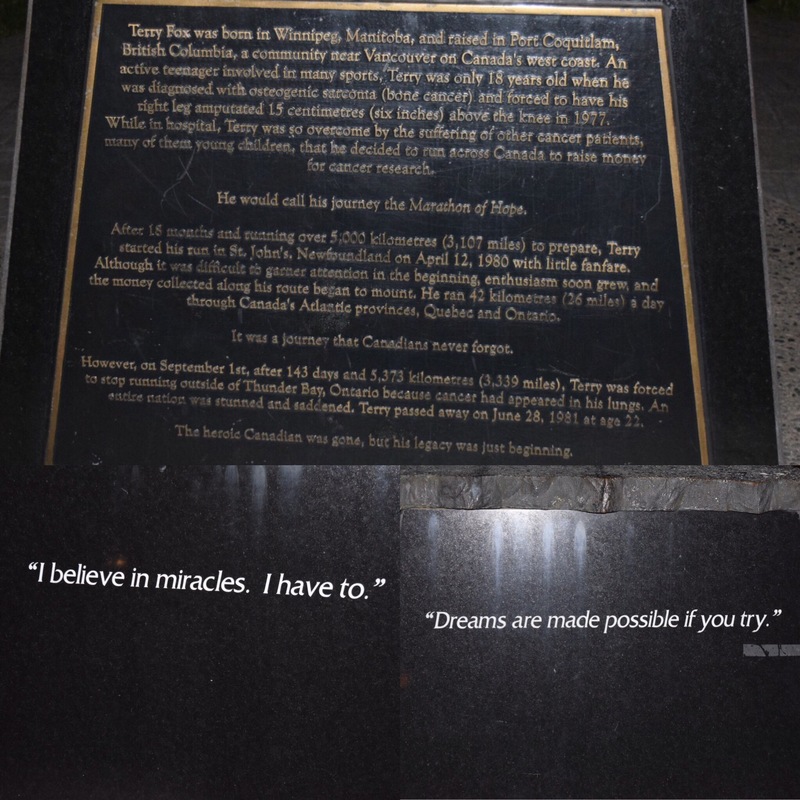 Terry Fox, a true Canadian hero, started the Marathon of Hope in Newfoundland and had planned on finishing at the Mile O monument in Victoria. Terry died before finishing his marathon however he is an inspiration to all. He brought more awareness about cancer and the importance of cancer research. According to the Terry Fox foundation to date $680 million has been raised world wide in Terry Fox’s name for cancer research. 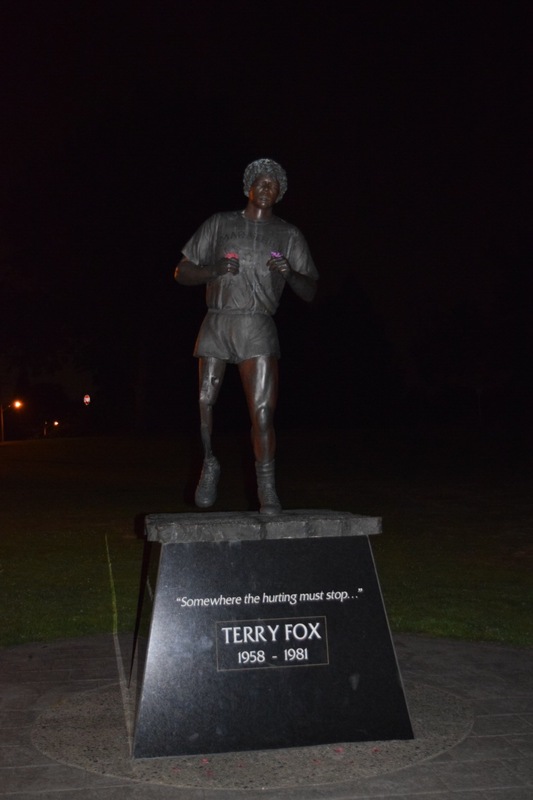 Terry Fox’s legacy continues. 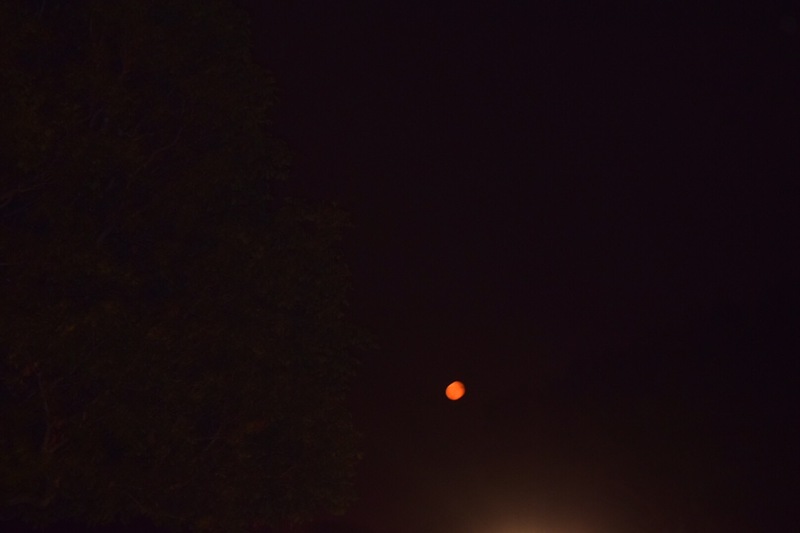 As were we leaving you couldn’t help but notice the magnificent moon, it was glowing a peachish / orange colour. 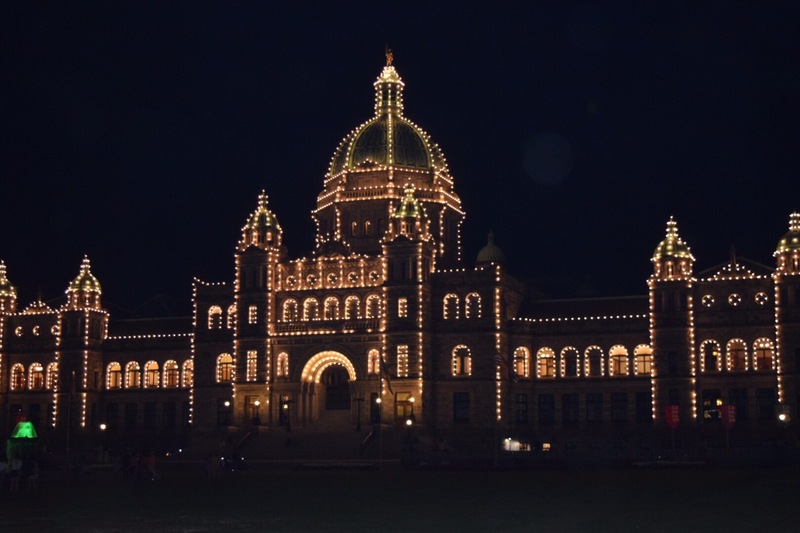 Parliament building to view and enjoy these sights at night.